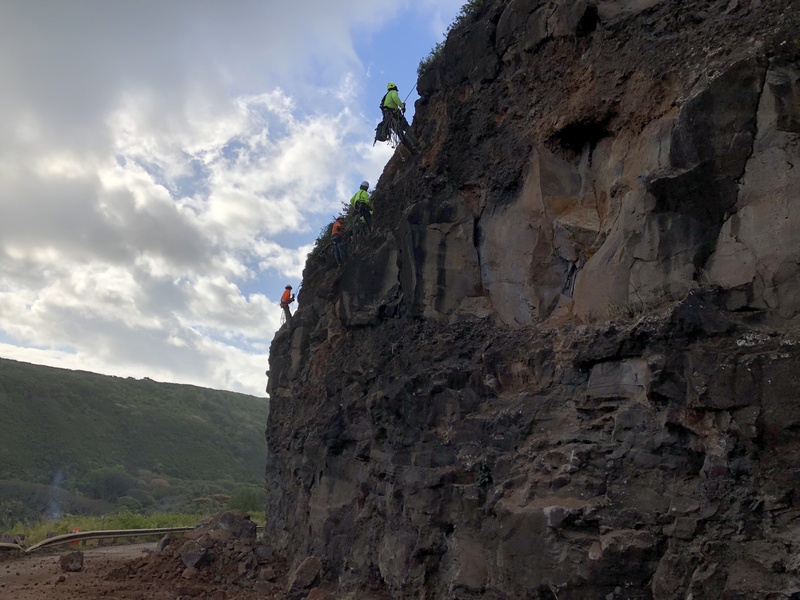 KAHULUI – The Hawaii Department of Transportation (HDOT) informs the public that emergency slope stabilization on Honoapiilani Highway past Kapalua is considered complete as of 4:30 p.m., Friday, April 5, 2019. 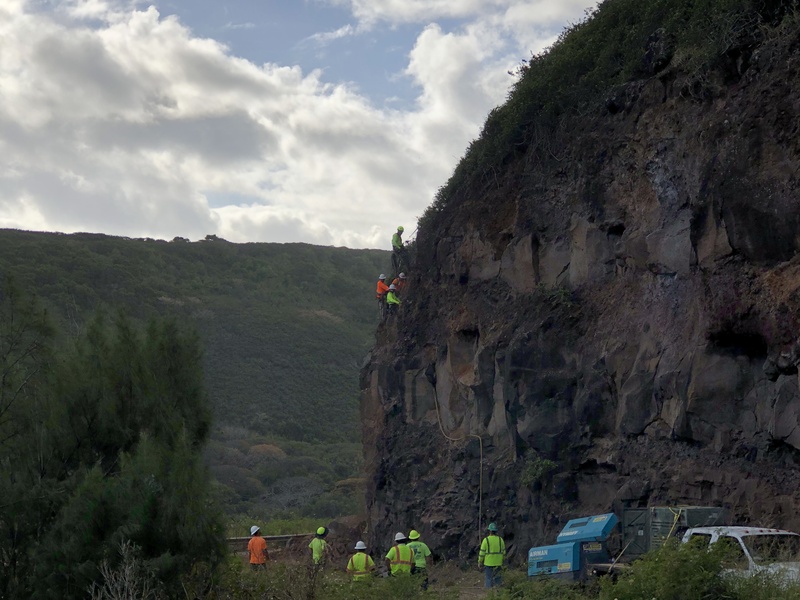 HDOT began the slope stabilization at 10 sites along Honoapiilani Highway on Feb. 26 following rockfalls on Feb. 22 and Feb. 23. These rockfalls were a result of material on the slopes being loosened by heavy rains. Slope stabilization consisted of removal of loose boulders and rocks. HDOT contractors conducted the work using intermittent traffic control on a Monday through Friday schedule, between 6:30 a.m. and 4:30 p.m. HDOT asked the public, except for local traffic and emergency responders, to avoid the area between Fleming Beach and Camp Maluhia during work hours. In the course of slope stabilization operations, several guardrails were damaged. These guardrails will be replaced in the island-wide guardrail repair scheduled in Summer 2019. Repairs to pavement impacted by boulders were made by the Contractor concurrently with the slope stabilization. 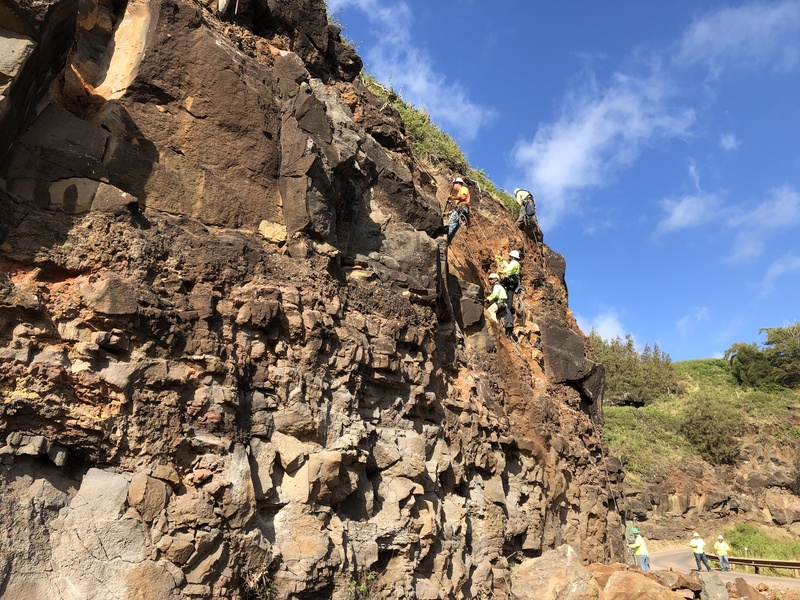 HDOT thanks the public for their patience during the slope stabilization on Honoapiilani Highway.